Welcome to TM-Town! TM-Town is a new translation enablement platform that rectifies so many of the hassles translators experience in looking for and securing jobs. My name is Kevin Dias and I am the developer of the site. Though I am not a translator, I think my unique background has allowed me to bring a fresh perspective to the industry. I have found there are still a lot of inefficiencies that exist. While developing an online CAT Tool called transdraft, it became clear to me that translators needed an online home that protected them and their careers. With TM-Town, I’m on your side. I’ve developed this platform to set you, the translator, up for success. TM-Town is here to make your work seamless, easy and successful. 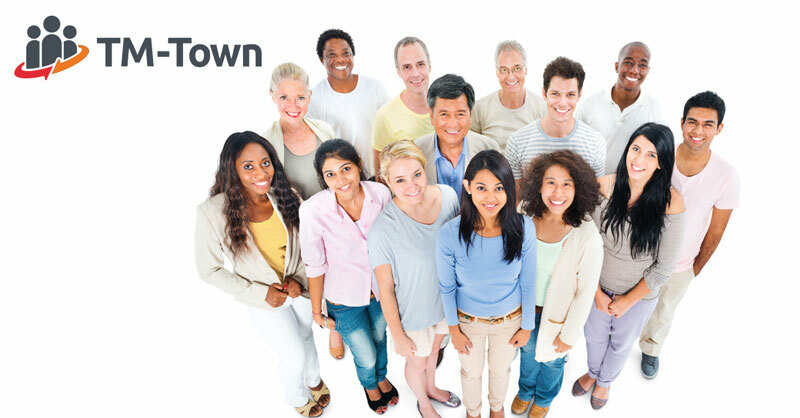 TM-Town serves you so that you may better serve your clients. In short, TM-Town equips the best translators with the best tools to ensure your end-clients are happy and satisfied. On TM-Town translators load their prior translation work (in the form of translation memory files, source and target texts, or terminology files) into TM-Town’s safe and secure system. TM-Town's system was designed with the importance of keeping your translation data confidential as the top priority. On TM-Town your translation data is private and never made public - the system scans your work to learn your areas of expertise. When an end client uploads a new translation job TM-Town’s system goes to work using natural language processing and text mining technologies to match the translation job to the subject matter expert with the most relevant experience. The benefits are not just about matching the translator to the most appropriate job; TM-Town’s translation enablement platform makes the whole process more efficient and cost effective by allowing translators to easily leverage their linguistic assets. First, translators matter. Expert translators are key to TM-Town’s success. When you have the right person on the job - a well-versed translator who knows their subject matter and doesn’t have to perform additional research - the job gets done better and faster. The results satisfy everyone: clients receive quality products; translators are more efficient and can potentially earn more per hour doing the work they know. Next, TM-Town’s translation enablement platform incorporates translation memory (TM) technology allowing translators to easily leverage their linguistic assets - improving quality, speed and efficiency. On TM-Town there will be a substantial reduction of friction involved in getting jobs, finding clients and getting paid. Your translation data is private and never made public. On TM-Town you will never be inundated with low-rate work. After sign-up, TM-Town asks translators to state their Don't Bother Me Rate. This is not a minimum rate, but simply a rate that tells TM-Town to never send you orders if the job does not meet your threshold. TM-Town's primary business model is providing professional tools to translators. This business model, combined with TM-Town’s matching technology allows for a very small margin on translation jobs. The per word rate translators earn is posted publicly on our site. You will always know exactly what you will earn and what the client is paying before starting a job. TM-Town’s translation enablement platform helps translators produce higher quality work in a shorter period of time, which means you can potentially increase your hourly earnings. TM-Town's mission is to create a better translation world through technology and specialization. The entire system is built to empower translators. TM-Town will never bother you with low-rate work. You set your "Don't Bother Me Rate" and TM-Town honors it. TM-Town's rates will be transparent and posted publicly on the site. This innovative enhanced job platform will help translators reach relevant clients and jobs and manage and leverage their linguistic assets. Find out for yourself today, registration is free. It is a fantastic time to be a translator!